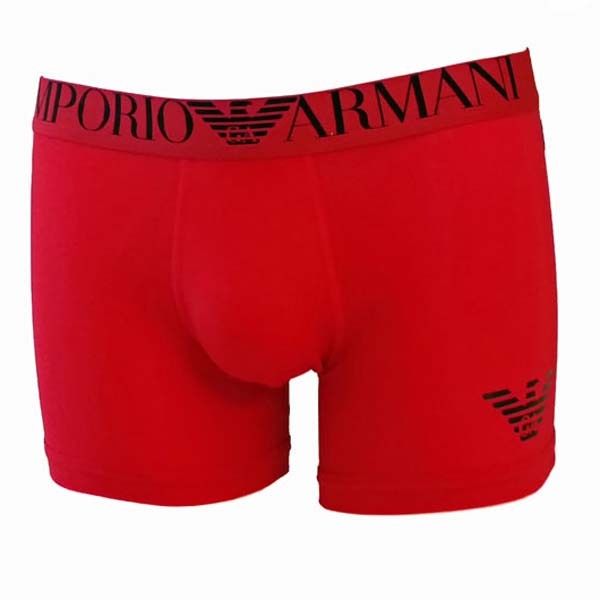 Boxer Emporio Armani 110818 6A595. Red boxer with the brand logo in black on the left thigh. In the belt there is written the name of the brand Emporio Armani black also. Comfortable to wear, youll love it! 95% Cotton, 5% Elastane.